If you require financial assistance for your academic studies, the University has several options in terms of student awards and financial aid. McGill’s School of Continuing Studies (SCS) offers some donor-funded, merit-based scholarships to SCS students to recognize academic excellence. To be eligible for a scholarship, you must be admitted in a program at the School and be registered in the current session. The amount and number of scholarships issued varies from year to year, depending on funds received and donor specifications. The scholarships are selected and awarded by the SCS Scholarship Committee on an annual basis. Eligible candidates will be contacted by the School. Visit the Awards section for more information. You can apply for financial aid through the Quebec Government You will find information regarding eligibility, application forms, and instructions at this link. Through donor contributions, SCS has a limited number of bursaries that are offered to students demonstrating financial need, to cover a portion of their tuition expenses. 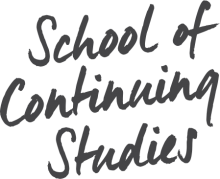 The School of Continuing Studies (SCS) receives funding through donor contributions to help support students with a portion of their tuition expenses. To receive a Bursary, students must demonstrate financial need. A full-time or part-time student, admitted to and registered in a credit Program at the School of Continuing Studies. Note: Independent Special Students and Students from other McGill Faculties are not eligible for SCS bursaries. Bursaries are intended as a partial support for tuition expenses. Bursary funds are limited and there is no guarantee that you will receive a Bursary that you apply for. The School determines how and when Bursaries are issued and amounts awarded may vary based on donor funding. You may submit one application only, per term. You will be considered for all Bursaries for which you are eligible. You may only receive one SCS Bursary in a particular term. After receiving a Bursary, you are eligible to apply for and receive another Bursary in subsequent terms. Total Bursary payment will not exceed $1,000.00 (one thousand dollars) per student over a 12 month period. The application deadline for Winter 2019 is March 15, 2019. To apply for a bursary, you must print, complete and sign the Formulaire de demande de bourse and email it to bursaries.scs [at] mcgill.ca. Incomplete forms will not be considered. Write legibly and indicate annual household amounts in all instances. All amounts must be in Canadian dollars and include the preceding 12 months, except for Gross Employment Income which should reflect the previous year (January 1 – December 31, 2018) as reported on your latest federal tax return. Double-check all calculations. Ensure that TOTAL lines are summed and complete, as we will not do any recalculation. Your Letter of Intent (Part 3 of your Application Form) must be original. Plagiarized or duplicated letters will disqualify you as a bursary candidate. Your 2018 Income Tax Notice of Assessment (or 2017) or Avis de cotisation (federal, provincial, or both). If you have not filed in 2017 or 2018, you will have to provide an explanation in writing. NOTE: Your tax documents will be reviewed during your visit and returned to you. They will not be copied or kept. If you do not have your tax documents, you will need to provide a written explanation. If you require any help with your Financial Profile, please contact us at bursaries.scs [at] mcgill.ca BEFORE submitting your application. If you still have questions regarding the application process, you can email us at bursaries.scs [at] mcgill.ca. We do not send confirmation of receipt emails for bursary applications. Please allow 3 business days for a response to your inquiries. All complete applications will be reviewed by the Selection Committee. If you have been selected to receive a bursary, you will be informed via your McGill email about 10 – 12 weeks after the application deadline. Decisions as to bursaries granted and amounts awarded are final. Payment schedules are determined at the School’s discretion. All payments will be deposited in your Minerva account in one lump sum, in Canadian funds. Deposits will be made after the Add/Drop date. If you withdraw from your courses or program, the funds will not be issued. All funds issued must be used towards tuition. You will still be responsible for the payment of all costs charged to your account, and bursary payments may not correlate with tuition deadlines. McGill staff should see the Department of Human Resources for details concerning Requests for Educational Assistance and Scholarships for McGill staff dependents.